We left the Ngong Ping village in the cable car, came back to our room, relaxed for a while. In the evening we decided to go to the Victoria Peak to enjoy the views of the skyline from the peak which is one of the must do things in Hongkong. 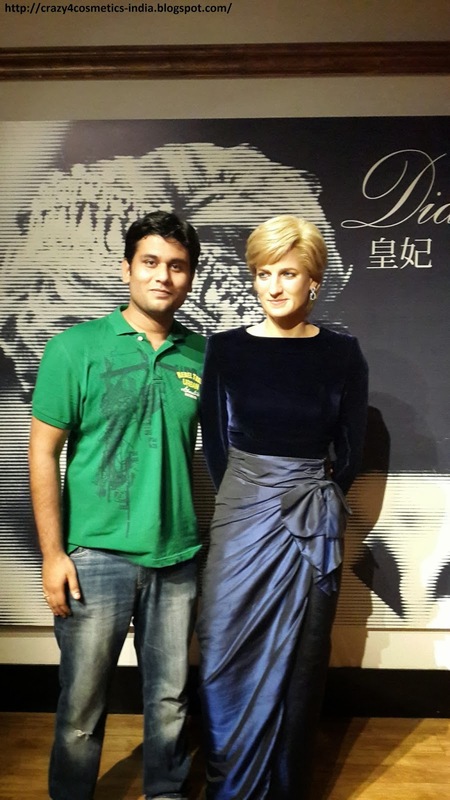 Victoria Peak & Madame Tussauds Wax Museum Hongkong- How to get there? We took the Tsuen Wan Line to Admiralty Station from Jordan MTR. 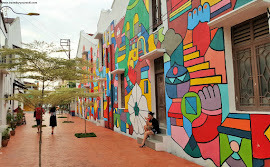 We followed the exit instructions in the station & walked about 15 minutes to reach the lower Peak tram station. 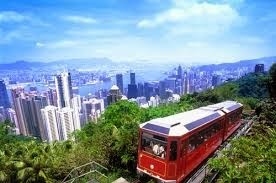 The best way to reach or rather the most sought after mode of transport to the Victoria Peak is the peak tram. 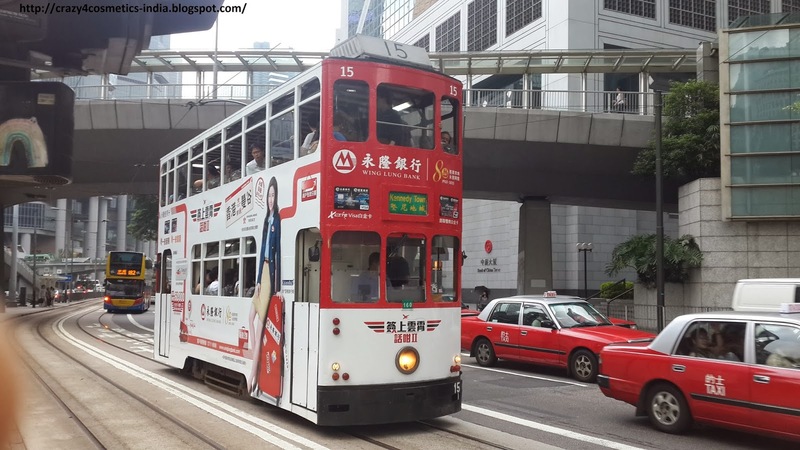 What is the Victoria Peak and the Peak Tram ? 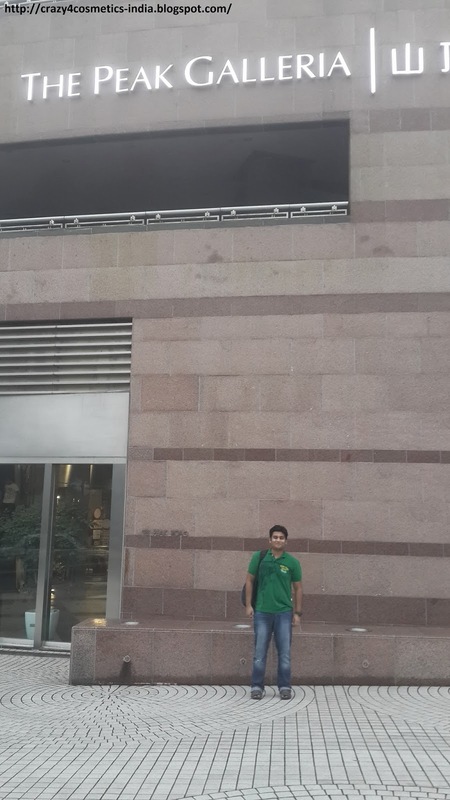 Victoria Peak is a mountain in the western half of the Hongkong Island and is popularly known as the Peak. For long it has been the abode to Europen Elite and now to the most affluent of Hongkong due to its panoramic views and pleasant climate. When we reached the lower peak terminus at around 5 in the evening we noticed that the queue was so long that it would have taken us close to 2.5 hours just to take the tram. We hired a cab from the lower terminus and paid HKD 100 & reached The Peak in about 20 minutes. But missing out on the peak tram journey is something we regret. At the top there is the peak tram station, Peak Tower mall which has the Madame Tussuads Wax Msueum , Sky Terrace 42B viewing deck and the Peak Galleria Shopping mall. The visibility was quite poor that day and hence did not get the best view of the skyline. 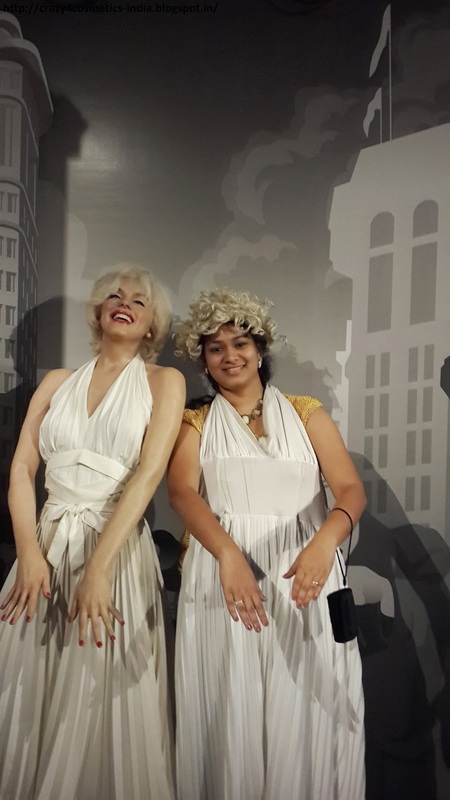 We instead roamed around the mall near The Peak Galleria & visited the Madame Tussauds Museum. 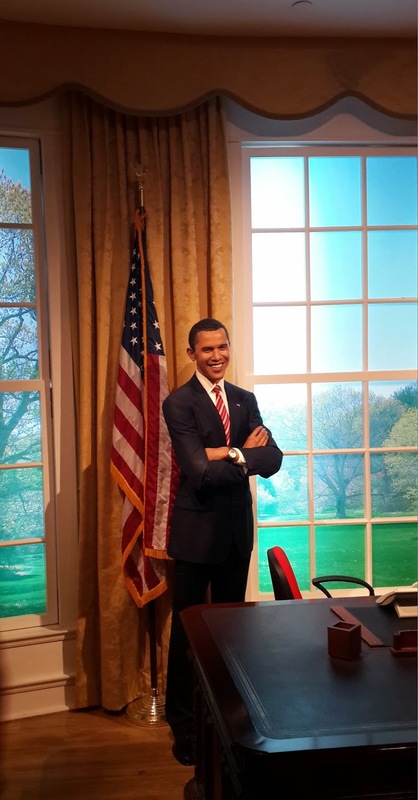 The world famous wax museum located at the highest point of Hongkong – The Peak, housing wax statues of over 100 world renowned celebrities. 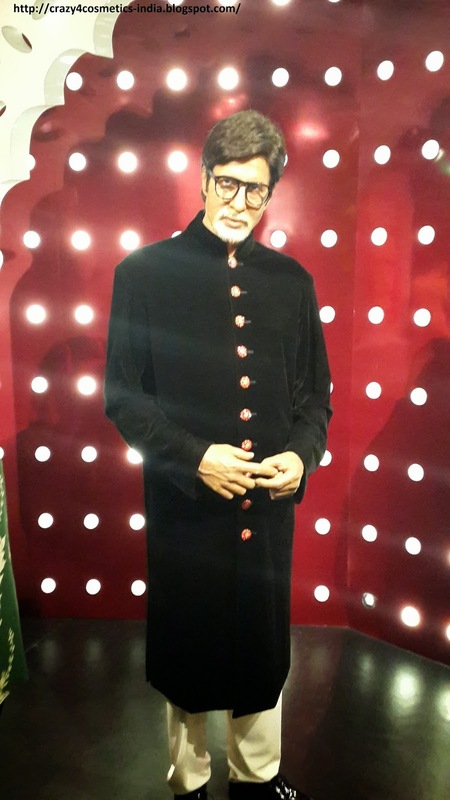 This was our first ever visit to any Madame Tussauds and we were excited to see how life like all the statues looked. The tickets are a little pricey at HKD 225 per person and the wax statues are arranged on themes such as Hongkong Glamour, Historical & National Heroes, Music Icons, The Champions and World Premiere. Some of the notable celebrities include Hugh Jackman, Iron Man, Amitabh Bachan, Barrack Obama Princess Diana , Albert Einstein, Johny Depp, Bruce Lee, Yao Ming, George Bush, Mohammad Ali , and Mahatma Gandhi to name a few. We spent an hour taking pics next to all the statues & had a great time as all of the statues were so life like. We had dinner at McDs at the Peak Galleria Shopping centre and took a bus back to Admiralty station, to take the MTR back to Jordan. If you are planning to visit on weekends do reach the lower Peak terminus early. We reached around 5 in the evening and there was a waiting time of 2.5 hours for the tram. Quite an obvious one , but do only go to the peak on a clear day as the fog/ smog can really spoil your views of the skyline. Do sit on the right side of the tram to have better views ( Read this in many blogs ). Spending extra money at Sky Terrace 42B for access to the viewing deck is not worthwhile as you can enjoy the same view for free from the top of the Peak Galleria Shopping mall. Do try out the the bakery at the Peak Galleria Shopping mall as the egg tarts were very tasty there. 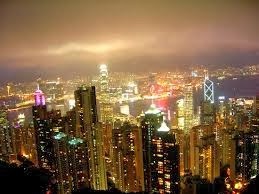 It was a long tiring day and as the trip was coming to an end in 2 more days we were really sad to leave Hongkong.